‘Disco House’ a super-chic collection of dreamy Disco sounds with the shimmering sounds and sparkling production you’d expect disco all-nighter. All content is 100% Royalty-Free, ready to enrich your sound and fully fit for use in all your music productions. 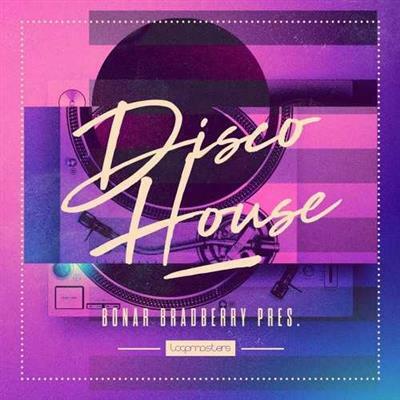 ‘Disco House’ delivers over 700 MB of sounds, with loops, one-shots, sampler patches and MIDI files to inspire your next Disco fling. 212 loops come in the pack, with groovy basslines, swinging drums, groovy synth tops, glassy synths and tip-top percussion. In addition to the loops you’ll find in excess of 250 one-shot samples including rich basses, sweet SFX, dazzling drums and single-shot synth heaven. Each one-shot comes with a dedicated sampler patch for your favourite DAW making for immediate production pleasure wherever you are. Additionally, 11 stunning sounds have been Multi-sampled to put synths and basses at your fingertips. ‘Disco House’ has parallel lines of audio and musical data included with 19 MIDI files to sequence, transpose and tune within your tracks form the word go. The pack comes at tempos from 115-124 BPM, making it ideal for Disco, Synthwave, Electronica, House, Downtempo and many other genres.